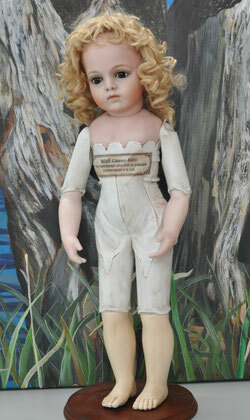 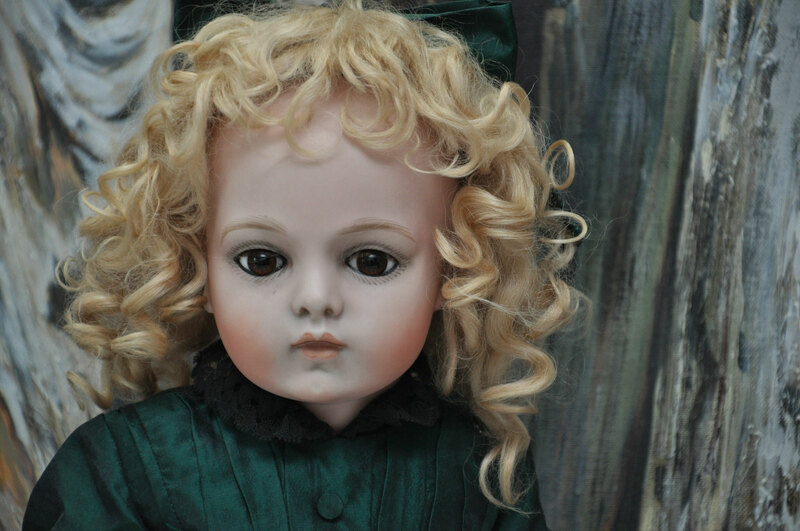 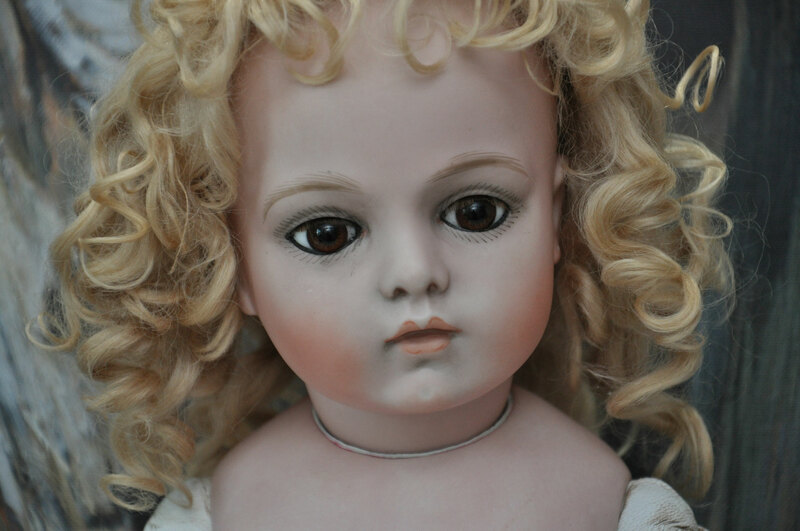 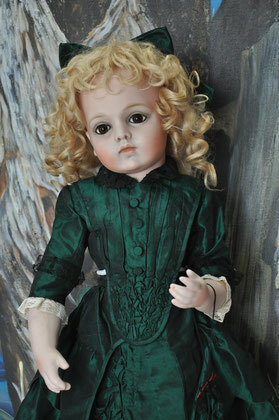 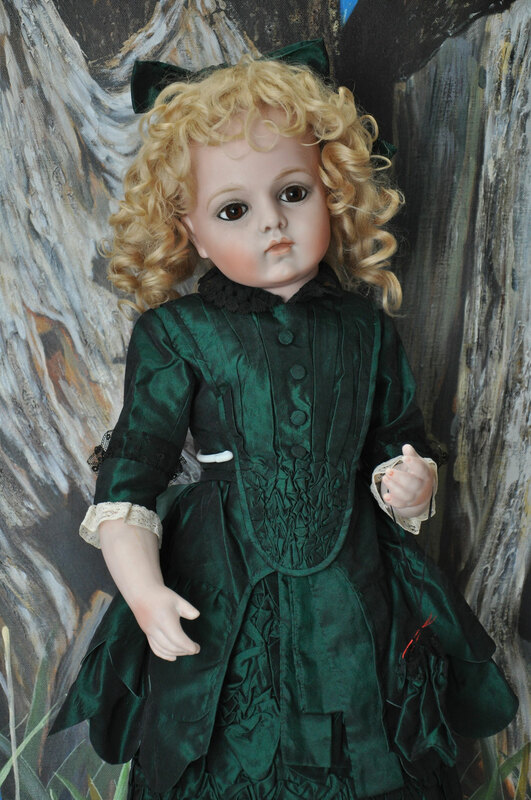 Head, arms and chest made of pure biscuit porcelain, brown glass paperweight eyes, and blonde mohair wig. Gieszer-Chevrot leather body, faithfully made of metal and wood, covered with finest sheep nappa leather. 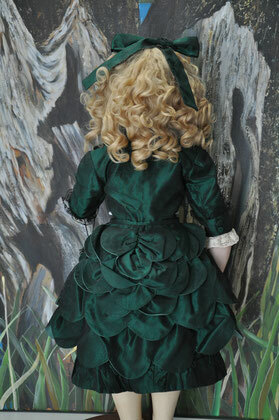 Clothing: pure silk faffeta dress tailored after an old original dress, leather shoes. 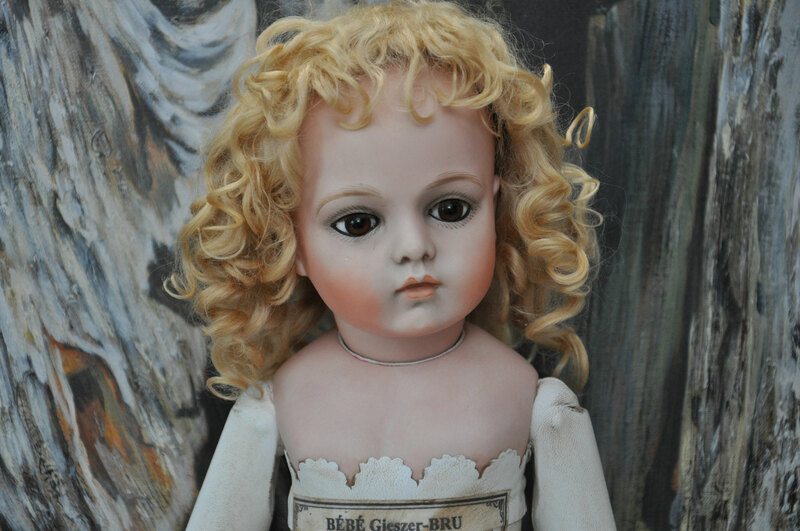 Underwear made of vintage fabric and lace.